strathmore – Spring break is a much needed reprieve for both kids and teachers. 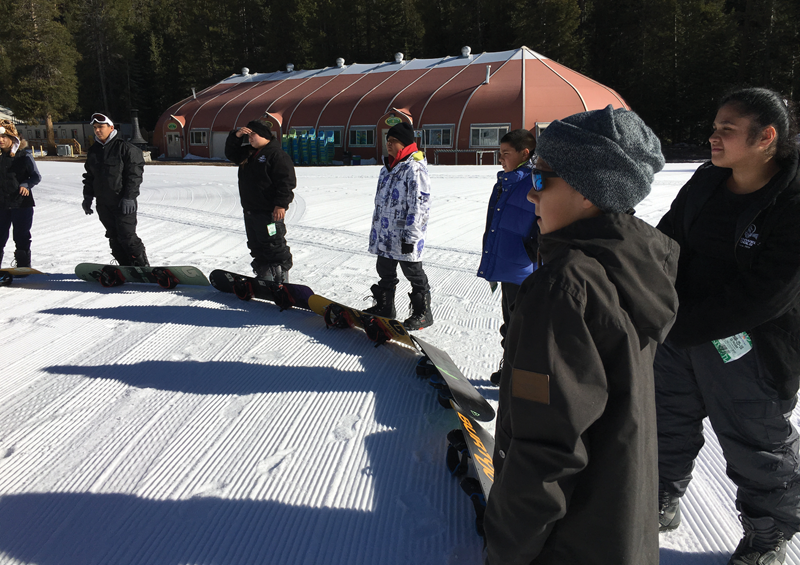 Even though they weren’t in the classroom, 16 club members attending Strathmore’s Boys & Girls Clubs of the Sequoias (BGCS) still had a lesson to learn over spring break. On Friday, March 25 club members woke up far earlier than many of their peers to take a trip to China Peak Mountain Resort. The goal of the trip was to provide the kids with a lesson on snowboarding. For many, it was their first time traveling to China Peak as well as their first time on a board. Brothers Cristian and Joaquin Avalos were lucky enough to share in the experience. “The best part was getting to try by yourself, without the instructor,” said younger brother Cristian. Joaquin enjoyed the challenge of learning the “skills” of making turns while speeding down the hill. After arriving, the kids were provided all the gear necessary to safely shred the slopes. The group gathered together and was given an hour-long private lesson on the basics of snowboarding. But, before moving on to the more advanced hills, the kids took a break to devour a delicious lunch of chips and burgers. Given that this was their first time snowboarding, club members refrained from testing out the lifts and instead opted to stick with the more advanced bunny hills. “The most difficult part was trying to keep your balance. But by the end I had the hang of it,” shared 10-year-old Clarissa Ceballos. She went onto say that the trip was by far the best part of her spring break. Club members who attended the trip were not only provided the opportunity to try something new, they were also left with a lasting memory. Despite an unexpected sun burn, Angelin Manzo was thrilled to share the story of her spring break adventure. “I was happy I went with the Boys & Girls Club and I had a lot of fun,” beamed Manzo. The Boys & Girls Clubs of the Sequoias currently serves youth in the communities of Visalia, Tulare, Ivanhoe, Farmersville, Exeter, Porterville and Strathmore. The mission of the organization is to enable all young people, especially those who need them most, to reach their full potential as productive, caring, responsible citizens. In 2015 BGCS reached over 2,800 youth throughout Tulare County providing them with meaningful mentoring with caring staff and participation in life changing programs.